We provide non-technical, non-skilled attendant services for functionally limited adults who need help in their home with activities of daily living, including home management tasks and errands and many personal care tasks. 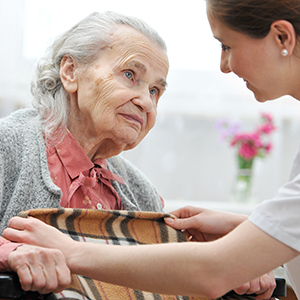 We also provide services to adults residing in nursing homes and in assisted living centers. In many cases, home health care services for elderly or disabled adults may allow them to continue living in their own home for additional months or years. In those instances, we deliver services in the home. In other cases, when the elderly or disabled adult is residing in a nursing home or and assisted living center, we deliver services there. We provide trustworthy and reliable in-home services for elderly and disabled adults throughout the entire communities of Travis, Hays, and Comal Counties of Texas, including the cities of Austin, San Marcos, Wimberley, Dripping Springs, New Braunfels, Buda, Kyle, Driftwood, Mountain City, Hays, Niederwald, Uhland, Woodcreek and Bear Creek. Services are available periodically or on a regular daily, weekly or monthly schedule. See our FAQs. Do you have a special request? The above list of home health care services for elderly and disabled adults is not a limitation of the services we can provide. If you require any service that is not listed, please let us know and we will try to accommodate you. CALL TODAY FOR FREE IN-HOME EVALUATION.